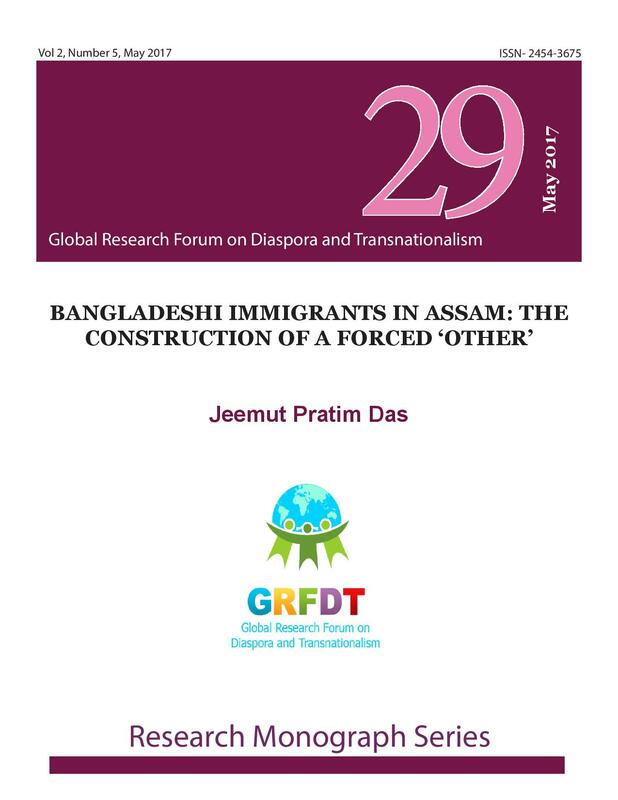 The politics of immigration manipulation in Assam has witnessed a gradual transformation from its economic roots, an aspect that has been often neglected in the quest for forming a historical trajectory of immigration instead. Further, the change in the debate from economy to polity as seen from the vantage point of a top-down approach also necessitates a deeper exploration in the context of ‘othering’ only a subset of the total immigrants to the state. The Hindu-Muslim divide has come under renewed focus with the question of citizenship rights to the Hindu migrants from Bangladesh, a direct result of the changing ideology of the power holders. In such a context, the debate on open versus closed borders have been relegated to the backdrop, and the idea of returning to one’s homeland that characterizes one of the crucial constitutive factors of a diaspora have not borne fruit.